Call Us For a Free Consultation!! Having an accident can be both painful and strenuous. 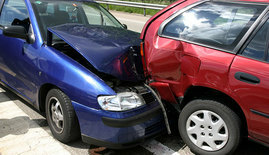 Dealing with your injuries and the insurance companies can be extremely stressful. Let the Hornsby Law Firm take care of your needs. We are experienced in all types of personal injuries cases from automobile, trucks, buses, slip and falls and wrongful deaths. We never forget the person in personal injury!